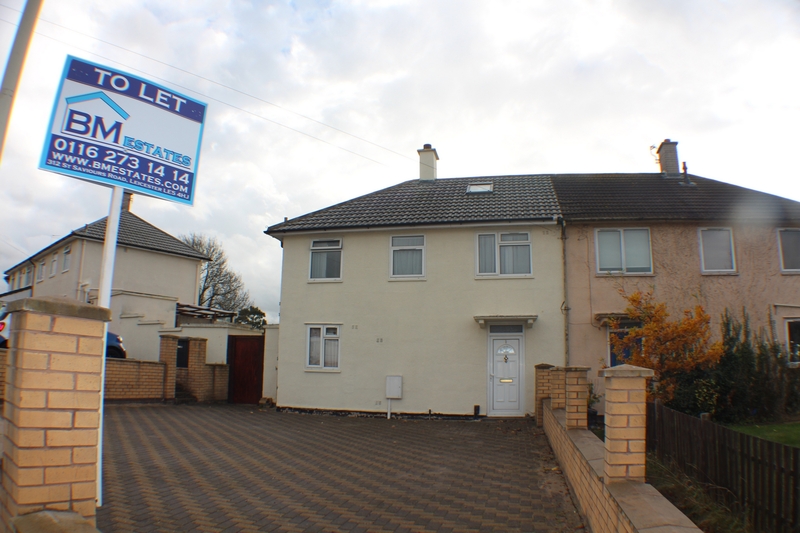 BM Estates are pleased to offer to let this three bedroom Semi Detached house in Evington. The accommodation comprises of an entrance hall, lounge, dining room and fitted kitchen on the ground floor. On the first floor there are three bedrooms and family bathroom. The property also benefits from FGCH, D/G, paved driveway and rear garden. Professionals only.